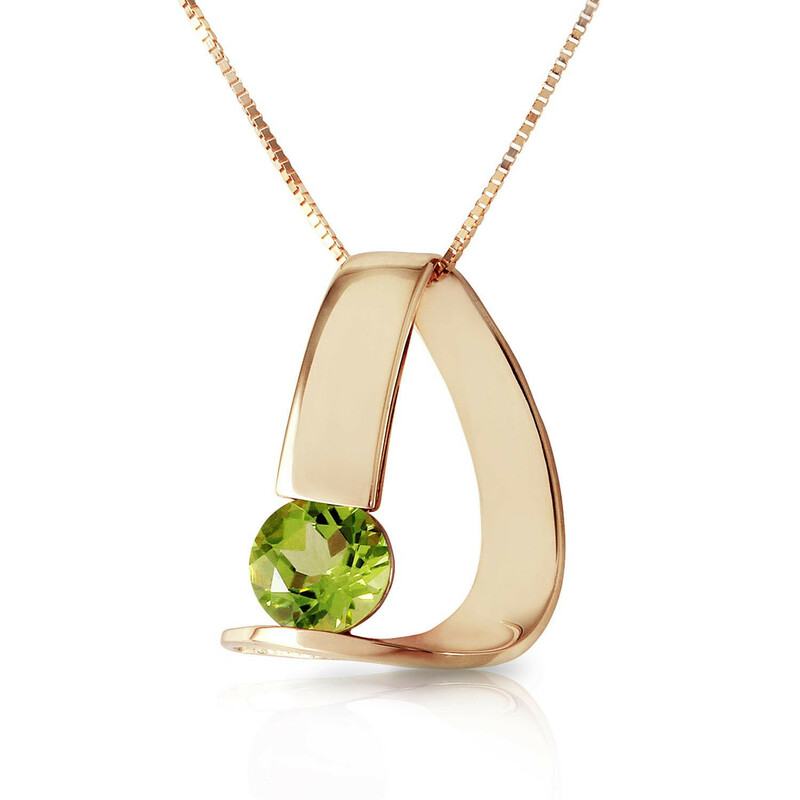 Peridot necklace handcrafted in solid 9 carat gold. Single 1 ct natural peridot, grade AAA. Round cut. 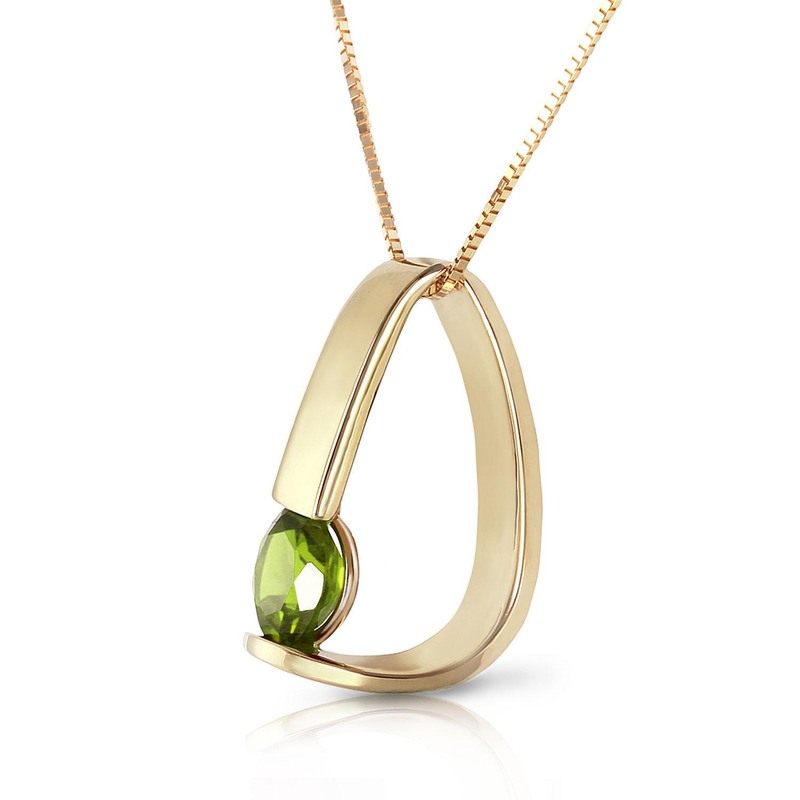 Pendant suspended from gold box chain with spring clasp, length options from 14" to 24". Available chain thickness 0.42 mm (pictured) and 0.52 mm.